Heart Evangelista launches her new advocacy campaign during a challenging time in her life. 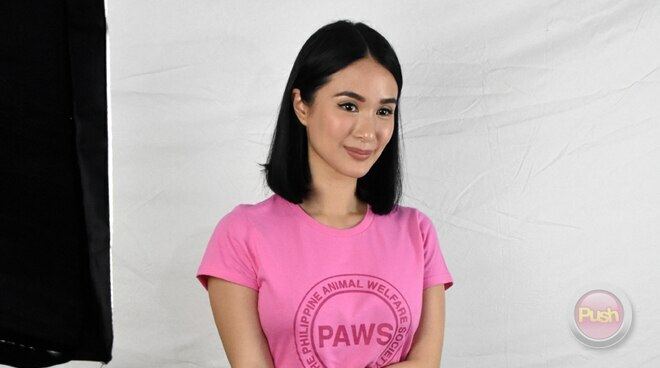 As she proudly unveiled her new campaign “A Heart for Aspins” with the Philippine Animal Welfare Society (PAWS) last August 23, Heart Evangelista-Escudero couldn’t help but hold back tears when asked by the media how she is doing after losing her twins to a miscarriage earlier this year. “Okay lang, it’s just hard. That’s why parang tinabunan ko siya ng masasayang bagay kasi I think for every woman, they just don’t talk about it, but there will be a time that I will be strong enough and talk about it,” she explained. Heart said that the challenging experience has made her rethink some of her views in life including future plans for another baby. “Actually it’s not that I don’t want to prioritize it or anything, I was just so heartbroken. And that’s why I don’t like talking about it. I just want to be happy now. That’s why I just want to be very positive and I don’t want to plan my life as much as I used to plan before. So it’ll happen when it happens,” she shared.